Identity is a two weekend course designed for people who don’t seem to fit and grew up thinking something was wrong with them. 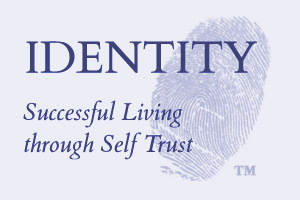 With all of the confusing voices and conflicting philosophies, methods, techniques and ideas constantly telling you how to live, Identity provides concepts and tools to allow the inner voice that is you to strengthen and grow and replace what doesn’t work. Identity is a way of living that is self-responsive and respectful of who your are and allows growth and development on your terms, in your time. The workshops are small and non-confrontational. This allows time for individual attention and a comfortable environment for learning. If you’ve ever looked in the mirror and not known or liked the person you see, Identity is for you. It’s here you’ll learn to love the man or woman who is looking back.